Toxins are subtances capable of causing our bodies harm. Every day our bodies consume toxins from our fast and modern life style. Toxins enter our bodies from many sources such as fast foods, smoking, coffee, skin products and even breathing the air. Today more than ever, we are exposed to stress, sleep deprivation, lack of exercise, chemicals, pesticides, food additives, radiation, drugs, animal fats, low nutritional quality foods, bad eating habits and the list goes on. The end result of our current situation is a lower quality of life, shorter life span and progressive illnesses that most of us pass-off as just getting old. The removal of these toxins is essential for healthy body function. Your colon works hard to eliminate putrefying food, bacteria, viruses, indigestible chemicals, and fermented waste from your body. If the colon is overworked the toxins will build up and that’s when the problems start to emerge. The evacuation of stool only once a day can result in 85% of bowel toxins being reabsorbed into the bloodstream. 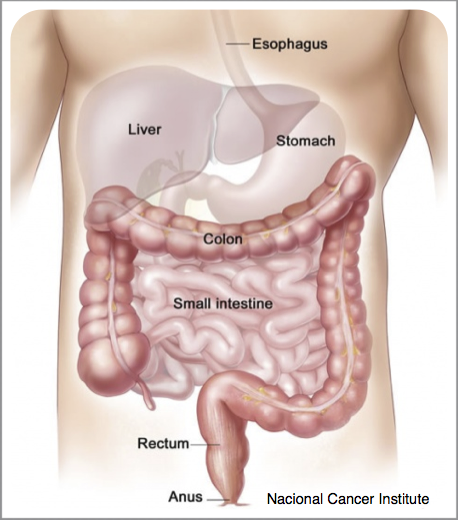 The colon becomes saturated with harmful toxins, which leads to a process called ‘auto intoxication’. This means that toxic substances get into the bloodstream and pollute the your entire body. The lymphatic glands, circulatory system, lungs and kidneys become over-worked and when these systems are unable to cope with the toxic overload your body becomes run down and serious health issues start to emerge. Most processed foods contain large amounts of chemicals. Artificial hormones are given to cows to produce more milk, chickens to lay more eggs, pesticides in vegetables so they retain a fresh look for longer period. Standing next to a smoker you are breathing in the chemicals from his cigarette, walking in the streets we breath in carbon monoxide fumes from motor cars, pesticide toxins sprayed on gardens, aerosol cans. Toxins are absorbed into our bodies every time we apply sun tan lotion, mosquito repellents, perfume, makeup; even skin care products have chemicals that are absorbed into the skin. Radiation toxins are emitted into the body from use of mobile phone, watching TV too close, even computer screens omits radiation toxins in small amounts. Our bodies are designed to remove toxins from our bodies but traces of toxic residue remains and slowly builds up in your body causing most of the major heath problems we encounter. Toxins in the body create a massive work load on the liver, kidneys, lymphatic glands, intestines, colon, blood, lungs and strains the brain. When your body is subjected to this massive strain, heath problems will start to emerge. Some of the more common problems observed include: addiction to cigarettes and alcohol, head aches, mood swings, PMS, Chronic Fatigue Syndrome (CFS), lack of energy and motivation, skin irritation / dermatitis / eczema, allergies, chronic body fatigue, slow recovery from exercise and reduction in memory. The accumulation of physical and emotional stress is the end result of toxic build up in the body. Many people attribute this to aging and accept these unhealthy feelings as normal. However, with the Detox program you will remove the toxic build up in your body and enjoy the results of a healthy body and an improved quality of life. An aching body, low energy level and exhausted mind are clear indications that it’s time to detox your body. It’s a well know fact that regular fasting is the best way to detox. It’s a highly effective means of getting in tune with your body and purging the internal system to get rid of accumulated toxins. Fasting is the quickest way of bringing about elimination in the body and the fastest way of getting toxic materials out of the body.